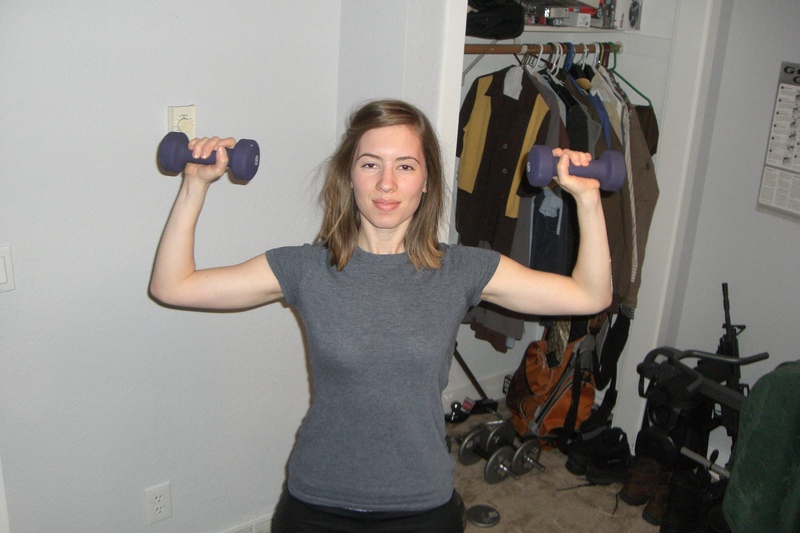 Begin in a standing position with a dumbbell in each hand. Raise the dumbbells to each side of the shoulders with elbows below wrists. 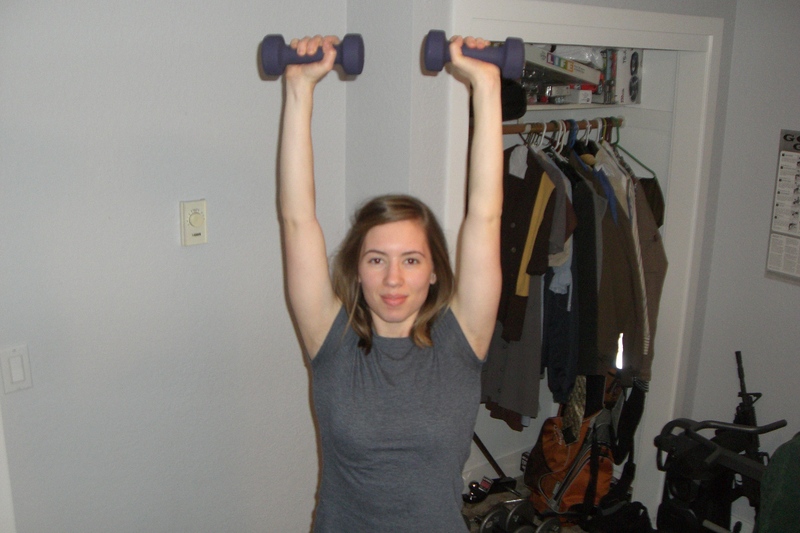 Press dumbbells until arms are extended overhead. Lower and repeat for a total of 12-16 reps. Rest for 60 seconds and repeat 2 more times for a total of 3 sets.